Welcome to Box of Balloons and Happy May! Who Can You Share With??? 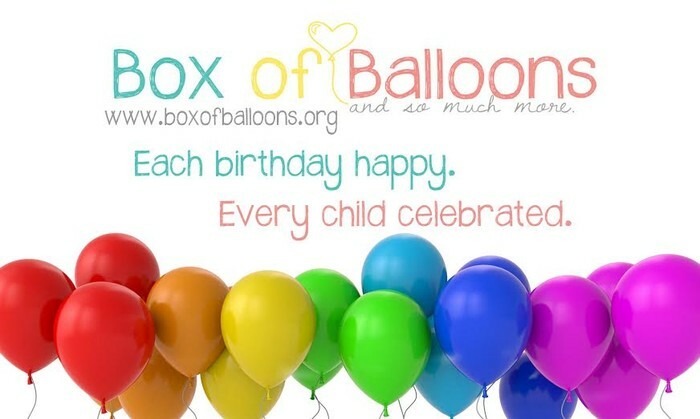 Our goal is to have a Box of Balloons in every state so we can help make MORE birthdays happy! In addition we are always looking to add to our local volunteer teams. SO...who can you tell? Have you shared Box of Balloons with your neighbors, co-workers, kiddos classmates/parents, Bible study group, play group or workout group? 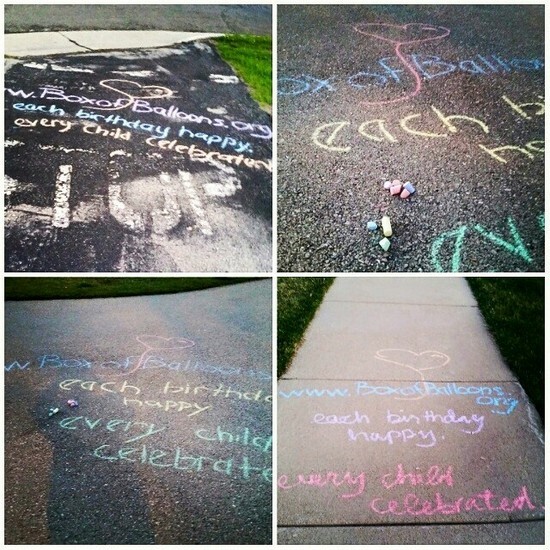 Can you take some sidewalk chalk and spread the word? Can you hang up a flyer in your break room or give out at your garage sale? Is your child having a Birthday soon and will you share it? Once you share Box of Balloons and spread the word somehow take pic and post it to our Facebook page! Who out there can be the most creative!!! Don't forget to celebrate MOM this Mother's Day! 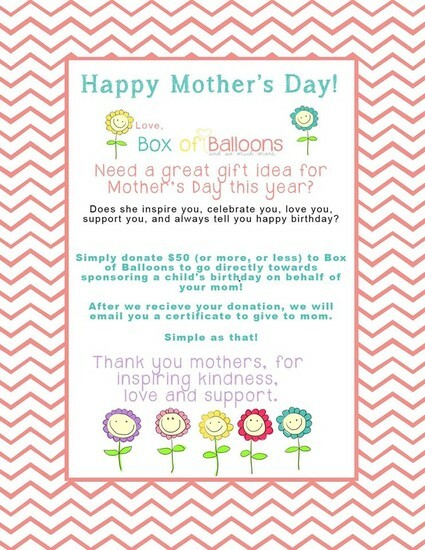 You can give her a gift while helping out Box of Balloons. Live in the Madison, WI Area? Interested in joining our Board? Click HERE!